with Reserved Font Name Alef Regular. with Reserved Font Name Alef Bold. 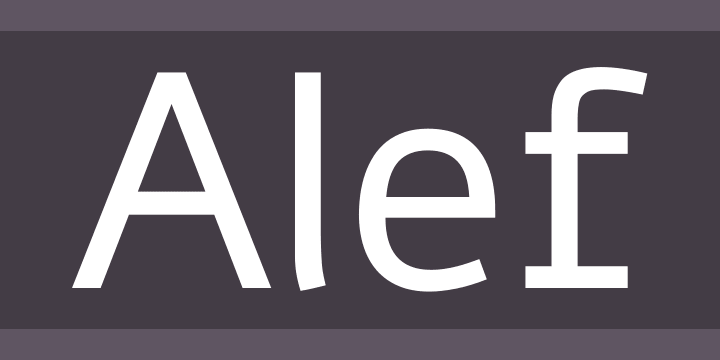 Alef was born to the screen and designed to the pixel in an attempt to extend the palette of Hebrew fonts available for web design and especially to challenge the only default — “Arial”.